Aerial lifts have made it safer and easier to lift personnel and their tools to great heights. If used correctly this equipment provides quick and safe access to work areas that at one time could only be reached from scaffolding or a crane’s man basket. Aerial lift platforms are great tools and increase production efficiency. They’re used extensively in a broad range of construction and maintenance work. There are significant risks associated with the use of aerial and scissor lifts. If aerial lifts are not used correctly, serious injuries and death can occur. No matter what other types of equipment operators have used, how long they’ve been on the job, or how competent they feel, the standard requires every operator to receive training specific to the type of equipment and job. Training is key to proper and safe operation of aerial and scissor lifts. This online Aerial and Scissor Lift course is designed to help individuals who will be operating aerial lifts. The training addresses the different types of lifts and their anatomy, and demonstrates why it’s important to conduct a thorough pre-shift inspection each day before putting a lift into service. It emphasizes the importance of planning each lift and setting up the machine properly so as to avoid hazards and obstacles around the work site. An aerial lift is any device used to elevate personnel, and may be powered or manually operated. This course is appropriate for operators of any of the four most common aerial lifts – vehicle mounted aerial lifts, self-propelled aerial lifts, self-propelled scaffold lifts, and manually powered aerial platforms. Vehicle mounted aerial lifts are mounted on trucks or vans and are often referred to as cherry pickers or boom trucks. They are most commonly used along public roads and highways by public works and road maintenance crews or utility companies. Vehicle mounted aerial lifts also come in the form of ladder trucks with platforms. These types of lifts are most often seen in the sign industry. Self-propelled aerial lifts can be either a straight boom or an articulating boom. They’re commonly used on construction sites and around industrial plants for maintenance personnel. Self-propelled scaffold lifts are commonly called scissor lifts and can be used on smooth, flat surfaces or rough terrain, depending upon the type. These are mostly used indoors in warehouses or other commercial business enterprises, but there are models that can be used outdoors as well. 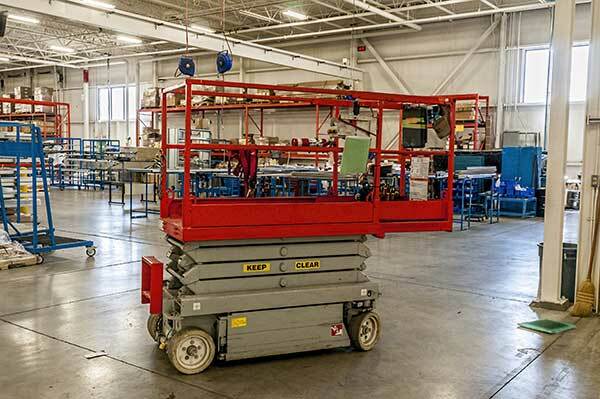 Manually powered aerial platforms are most commonly referred to as vertical lifts. They are mast or scissor type, AC powered, and usually come with outriggers to give them more stability. Vertical lifts are designed for work in confined areas. After completing the Aerial and Scissor Lift course learners will be familiar with the types of aerial lifts used by their company, have an increased knowledge of how to set up and safely operate them, and be able to recognize and avoid the most common hazards associated with their use. A substantial portion of the Aerial and Scissor Lifts course is dedicated to addressing hazards. A series of fact-based case studies describe real accidents that have occurred on the job, and the consequences of these incidents. 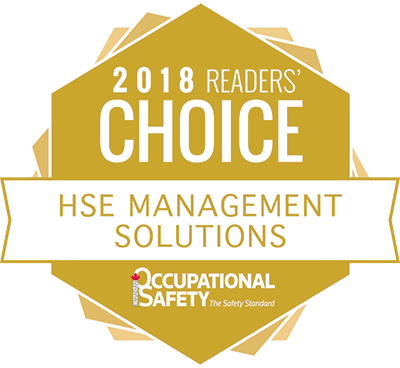 For example, the course addresses the fact that distractions have become a common catalyst for injuries and death in the workplace, and describes a scenario where a worker using a cell phone on an aerial lift was killed while another worker was seriously injured. The accident is analyzed to identify what went wrong and what corrective actions could have been taken to prevent the accident from occurring in the first place. Throughout this course, seven different accidents are described and analyzed. A two-page aerial lift operator evaluation form is available to print and used to assess an operator’s competency after the training is completed. The form can be downloaded from the account home page. The first chapter of this online course describes the four main types of lifts, the training requirements for each, and the inspections required before use. Only trained and authorized personnel must be permitted to operate the work platform. This chapter explains the different components of the self-propelled aerial lifts, with a general description of each, and things to watch for in the pre-inspection completed before each use. It also describes refueling procedures, controls, and the importance of maintenance. Some of the topics covered in this chapter include decals and labels; engine, chassis, and tires; turret and boom; scissors and mast; hydraulic hoses; and, lift controls. Stability of the machine is based upon the principle of balance and leverage. In this chapter, the stability and capacity of the aerial lift is discussed, with explanations about centre of gravity, tipping point, using outriggers, the lift in extreme conditions, working around edges and holes, and load ratings. In this chapter the safe operation of the aerial and scissor lift is discussed, as well as things to look for in an inspection. Before anyone operates an aerial lift on their own they must be familiar with specific components of the machine including extendable axles, ground and platform controls, interlock devices, and control lever lock. An essential part of safe operation is planning a lift, safety meetings, pre-shift inspections. The six most common hazards for aerial lifts are explored in this chapter, including the number one hazard – powerline contact. Other hazards include tip overs, falls from platforms, and being struck or crushed by a lift. In addition to the most common hazards, risks are also associated with the proper use of the machine. It is essential that operators know the safe working load of the machine and never exceed it. Throughout the chapter, various accident scenarios are presented and analyzed, and the lessons learned from these events are discussed in detail. Upon successful completion of this course, a certificate will be available to download and print. The certificate can be accessed on the account home page. This certificate is valid for 3 years from the date of completion printed on the certificate unless otherwise specified by an employer, legislation, or other authority.